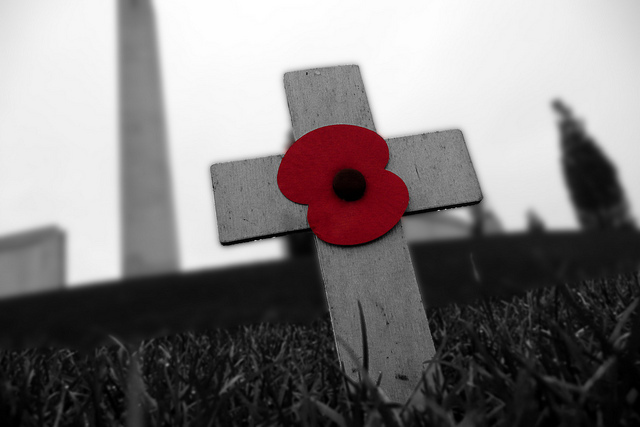 The Remembrance Day Poppy is an important symbol but we should be free to choose whether to wear one or not. Like most people, I buy a poppy every year as a mark of respect, not just for the men and women of this country who have given their lives in military service but also for the fallen of all nationalities and creeds, friends, foe, soldiers or civilians. They were all sons, daughters, mothers, fathers, brothers or sisters who left behind heartbroken families. I wear one to remember them, whether in victory or in vain, but above all to reinforce the sadness and pointlessness of war. For me, the red poppy – an icon shaped by war – has much more value as a symbol of peace. We should use it to remind ourselves that conflict must only be the last resort, when all else has failed. However, I have very little time for the vociferous Poppy Mafia who come out in force every year to tut at anyone who dares not wear one. There are plenty of legitimate reasons for not wearing a poppy – you may have bought one but forgotten to wear it, you might be a conscientious objector, you might abhor everything that it stands for or perhaps you simply just don’t think it is important. Personally, I do care, and choose to wear mine but only in the 7 days preceding Remembrance Sunday and remove it immediately afterwards. However, even if I disagree with them, I respect the decision of anyone who chooses not to wear one at all because that’s what freedom is, the right to choose, which is what many of these brave men and women died for in the first place.